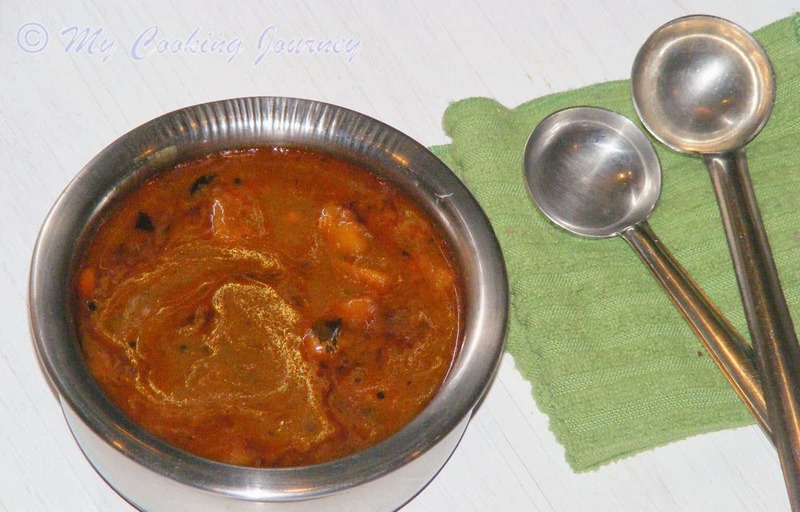 A delicious South Indian special Paruppu Urundai Mor Kuzhambu is perfect for the weekend Lunch. Pair it with some steaming hot rice and enjoy. 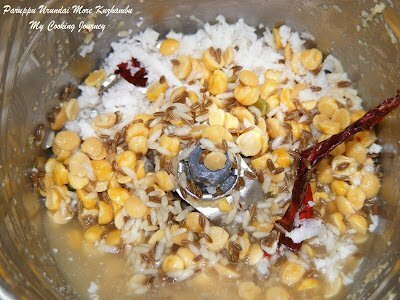 Paruppu Urundai Mor Kuzhambu is my husband’s all time favorite. Any day this Paruppu Urundai Mor Kuzhambu would be his first choice for lunch/dinner. 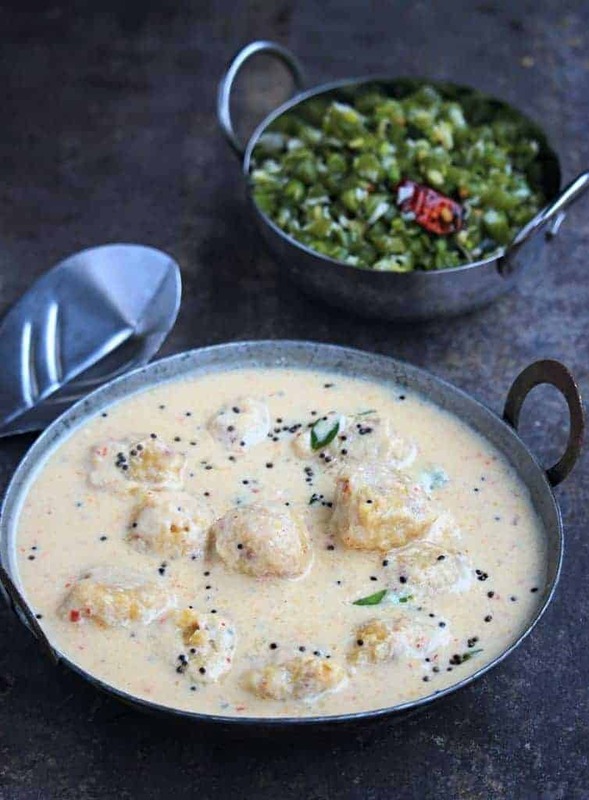 The paruppu Urundai in the kuzhambu is a wonderful way to get more protein in the meal and also serves as a vegetable component for the kuzhambu. I usually pair the Mor Kuzhambu with Paruppu Usili, but since I am using the same lentil to make this Paruppu Urundai Mor Kuzhambu, I made beans curry with it. My pictures for the post really need some attention and thanks to our Redo old Post theme, I have an opportunity to fix the pictures. 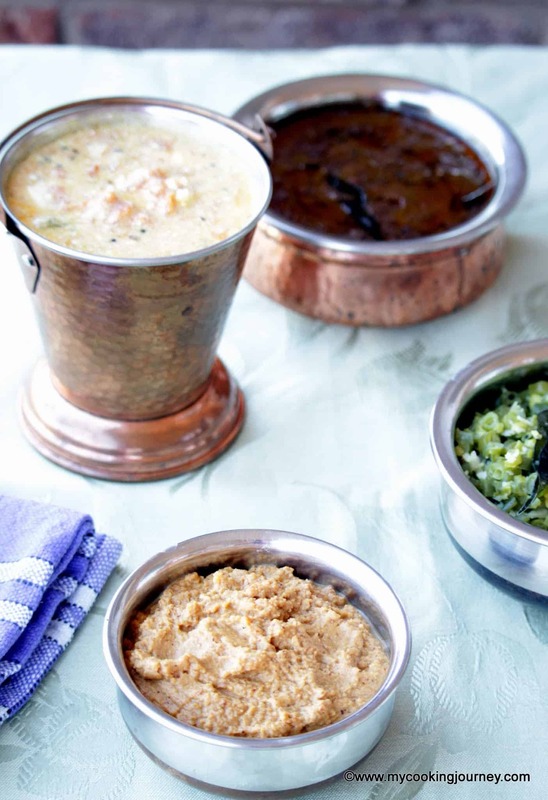 This is a very traditional South Indian lunch recipe that is common in many households. 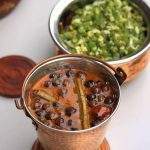 The Mor Kuzhambu can be made with many different vegetables like okra, white pumpkin, chow-chow and so on and also using Dry Vathal (Vegetable preserve). 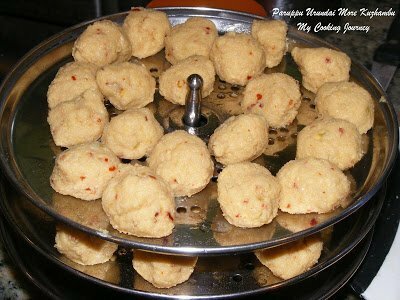 Making the Paruppu Urundai is a little time consuming and hence is made as a part of the weekend meal. 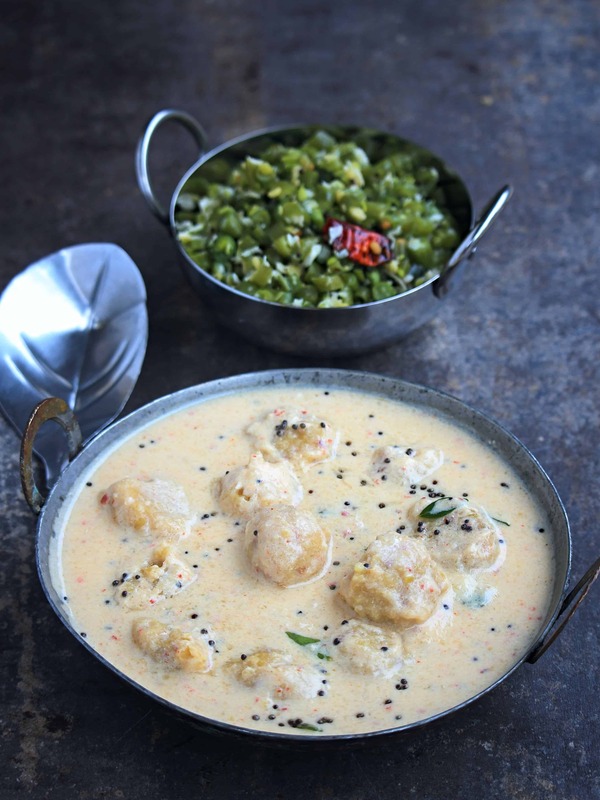 A really god sour curd / yogurt is very essential for making this Paruppu Urundai Mor Kuzhambu. I usually leave the yogurt outside overnight to make it sour. My mother does not use turmeric powder in her recipe but my mother-in-law uses turmeric. I have skipped the turmeric as I like it this way as well. 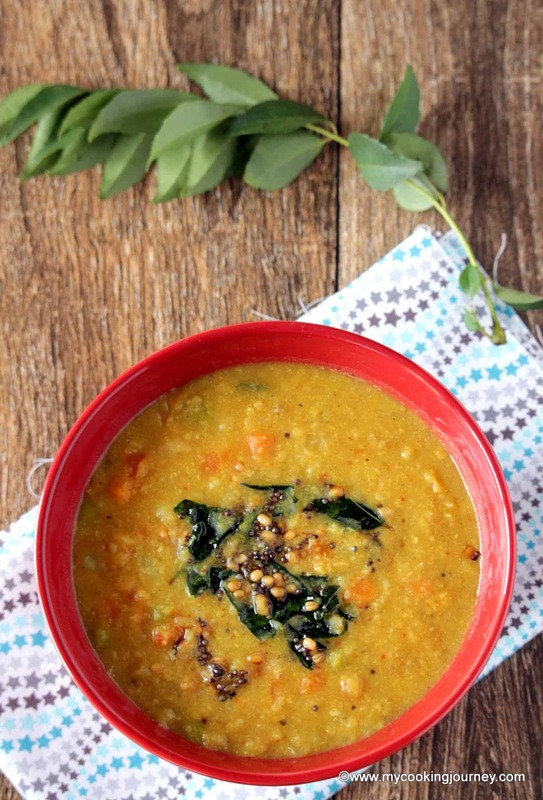 Soak the toor dal for about ½ hr to an hour. 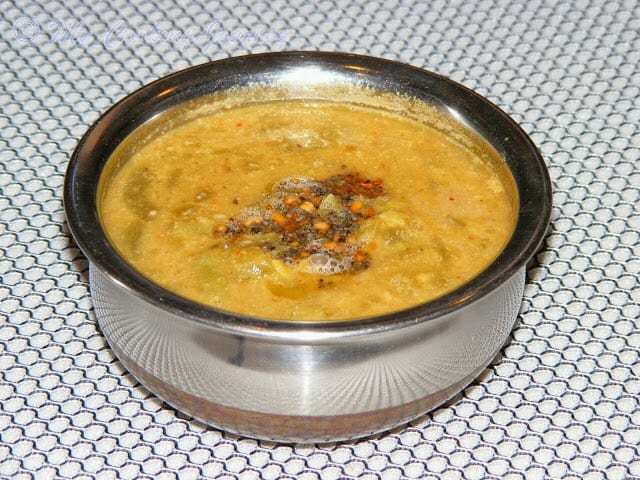 Combine all the other ingredients to the soaked and drained dal and grind it to a coarse paste adding very little water. Make small balls out of the ground mixture and arrange it on greased idli plates or steaming plates and steam for about 10 mins. 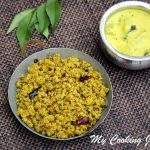 Soak the dals and rice for about ½ hr and grind it with the chilies, cumin and coconut. Then add the buttermilk to the mixture and give it a quick mix in the mixer. Transfer this to a sauce pan and add the turmeric powder (if using) and salt. 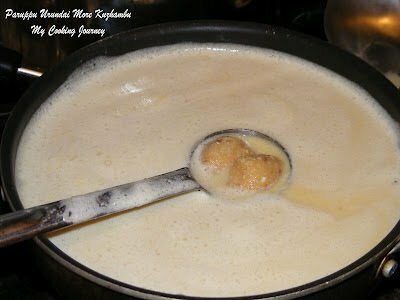 Now add the steamed paruppu urundais into the kuzhambu and bring it to a very slow boil. 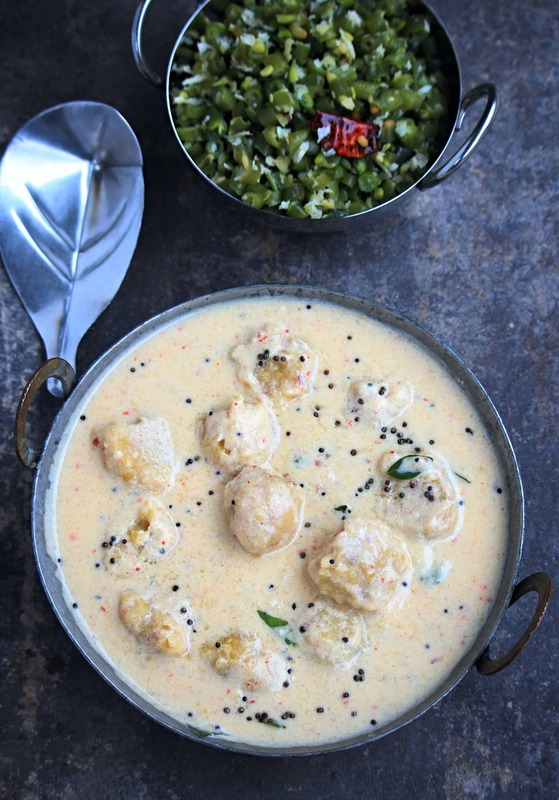 Once it comes to a boil, you will notice that kuzhambu comes to a thicker consistency. Make sure that you do not boil it over high heat. This will make the buttermilk to separate and the kuzhambu will not get the right consistency. Heat the coconut oil in a small pan and add all the seasoning ingredients. Add it to the more kuzhambu. 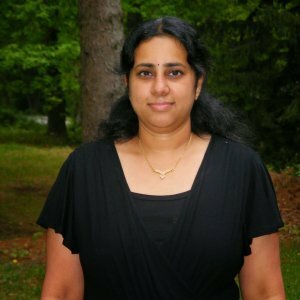 Hi Sowmya, I saw your post yesterday 🙂 What a coincidence :)Thanks for visiting..
You could use any rice that you have in hand. It is just to thicken the stew. I would use about a 3/4 cup of curd and then the remaining water. Hope you like the recipe. let me know once you make it. 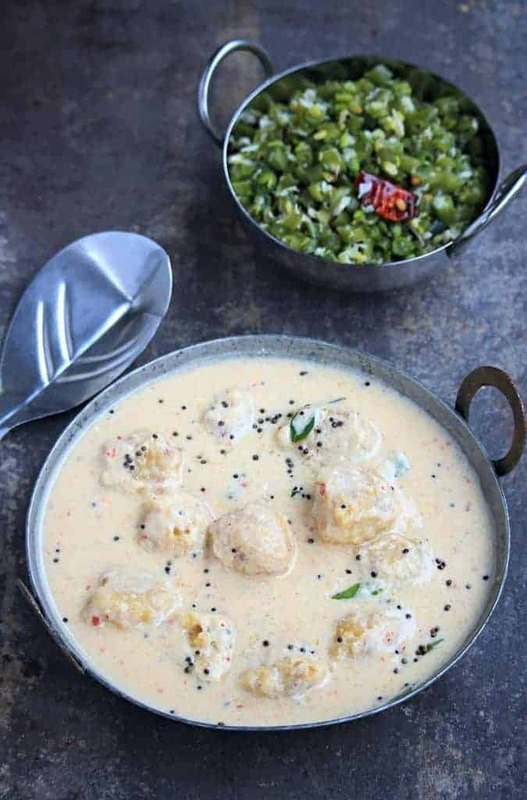 We tried ' paruppu urundai more kulambu' now for dinner and it came out absolutely delicious and the taste was extremely good to have & we liked it very much.we will often make this for sure.Thanks for this awesome recipe. Along with this today we wanted to make potato curry ( which is there in the pic) & we searched in your webspace to the maximum but couldn't find it & can u plz give the link of that recipe from ur webspace. 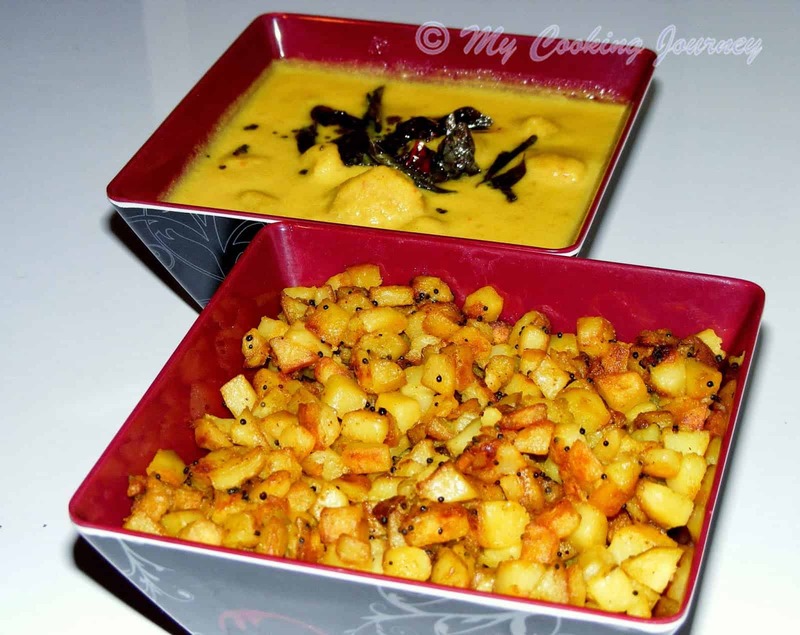 We like to make again next time with the potato curry & let u know the outcome of it. Thanks for getting back! I am so glad that you liked the recipe and it came out well. I do not have the recipe for the potato curry yet in my blog. Will post it soon and let you know. Thanks a lot. Do let me know how it was. This is like kadhi pakoda! But a healthier version as I see the balls are steamed. The redone pictures are lovely! I will try the version soon. 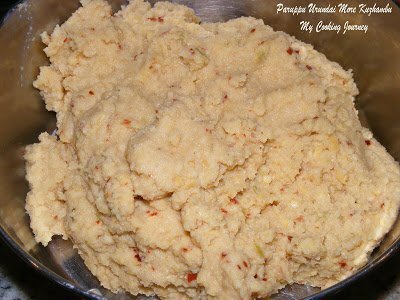 This is an excellent one Sandhya, though I have made paruppu urundai kuzhambu, never tried with mor, must try now! This is one of my favourite and comfort food, we call is as majjige huli. Adding of paruppu urundai is new to me, good to know that . 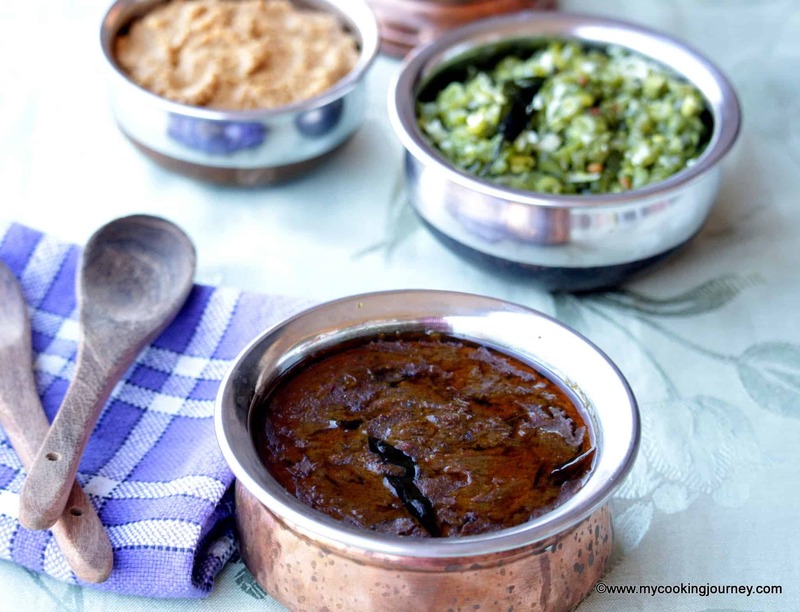 Pictures have come out good Sandhya and mor kuzhambu with beans fry looks like a comforting meal for the weekend. Steamed lentil dumplings curry sounds very inviting. The new pictures came out really nice Sandhya. 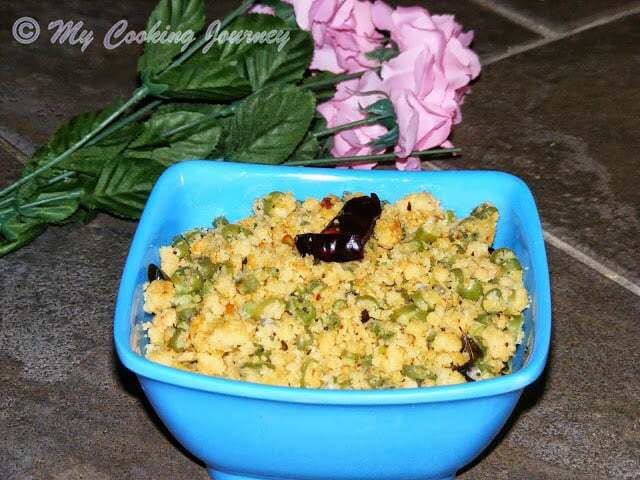 i am bookmarking this recipe sandhya..been ages since I had this one. I had made this dumpling curry , and I had loved it to the crew! Looking at the dish I am tempted to make it all over again , I love the steamed dumplings with out the curry too , they taste too good ! It has been a while since I made more kulambu. With paruppu urundai, it looks so inviting and I am tempted. This is one of my absolute favorite recipes. I rarely make it because of husband’s dislike to dairy based dishes 🙁 My mom makes similar mor kuzhambu but with deep fried urundai. I will try your steamed version some time. The addition of paruppu urundai makes the mor khuzhambu more special. 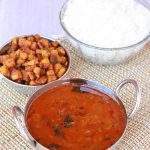 The beans curry along with it makes one comforting meal. This looks similar to our North Indian Kadhi but yet so different. I loved the way the lentil balls are steamed instead of fried. Would love to try this something new to me.